While not blonde and blue eyed, I do consider myself to be a California girl. I've lived in Cali most of my life and though i've talked about moving to Hawaii when I retire, I really don't think I could ever be away from California. That's why anything that is California themed usually calls my attention and when I saw this LORAC California Dreaming palette I immediately fell in lust. But, I am not the biggest fan of LORAC shadows, which tend to be too dry for my wrinkled, dry eyelids. Then there is the fact that I went in-store to Ulta to swatch it and found that a lot of these shades are that super soft formula that I hate to work with because it's so messy. But the heart wants what it wants. After watching tons of video reviews, reading posts and stalking it on both HSN and Ulta, for weeks, I had to pull the trigger and order it. The LORAC California Dreaming palette color story is just SO me, and the shades definitely say California winter, plus it's super cute. I had to take a chance on it or live to regret it. I especially had to get it when I saw a deal on HSN that included the palette, a mascara and a lipstick for $42. With a $10 off coupon, which I shared on my Snap, I paid only $32 for all three items. The LORAC California Dreaming palette retails for $30 on it's own, which means that I scored a fantastic deal. That deal is still available on HSN HERE. When I look at this palette I really get that laid back, chill California vibe. All the shades in here are soft, dusty and the cooler tones are right up my alley. Then there is the Kitty Cat shade, which is one of the prettiest eyeshadows I have ever seen. It's also an all inclusive palette, which means not having to reach for other shadows to complete a look. I will probably travel with this palette quite a bit. The Cali-themed names and outer packaging of this palette make it a standout. If you like cute, limited edition palettes, I think you will love the style of this one. Let's now look at the shades and I can tell you all about each one. sand castle: this is a white gold shade with a soft shimmer. In the swatches you can't tell how pretty this shade is. It makes a beautiful inner corner highlight or browbone shade. button: this is something of a light peach brown and one of the shades that lacked most pigmentation in this palette. It shows up a little better on my lid though it's practically my skin shade, so it's not the most exciting color in the palette either. overcast: a muted purple, this is one of my favorite shades in the palette but it's also one of the dustiest. I highly suggest tapping off you brush and grabbing little by little of this shadow. bonfire: this light pink is quite pretty and looks more pigmented on the eye than in my swatches. Again though, this is another of those dusty shades that requires careful application. hot toddy: is a pink coral shade, another one of my favorites. I like the pigmentation in this one and love that it's not as messy as some of the others. starfish: a peach shade that has one of the better formulas in this palette. I wish the other shades had this formula that is not so soft and dusty. For me, starfish is not one of the most exciting shades in the palette but it is pretty. seaside: a lovely deep olive green with flecks of gold and green shimmers. This is one of the shades in the palette that I was most excited for. It does kick up a lot of powder and I got so much fall out when using it, but it's so pretty I guess it's worth the trouble. cable knit: a plum matte shade that has nice pigmentation. This is another shade I was pretty excited for, and again, it's a messy one. But it's a gorgeous shade that is perfect for deepening up any look. cozy: surprisingly, this is one of the better shades in the palette. I don't usually get excited by beige shades but this one is so pigmented and smooth, without a lot of kick-up. 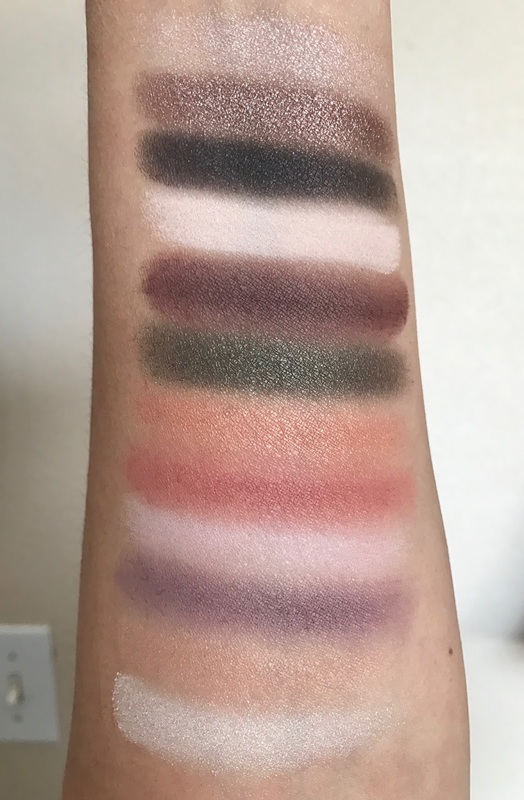 When I swatched it I was so surprised by it. I wish the other mattes were just like this one! boots: I don't have an opinion on boots besides to say that it doesn't look like a blackened purple to me, it's just so dark. However, the pigmentation is good and it's always nice to have a really dark shade in a palette. kitty cat: kitty cat is the jam! OMG, I love this shadow and wish LORAC would release an entire palette in this formula. Not only is the shade super gorgeous, it's something of a taupey bronze, the formula is BOMB. It's so soft, it feels almost like cream and applies gloriously. I use my fingertip but have used a brush and it's just amazing. 65°: this shade is a peachy pink with a frosty finish that didn't show up a lot in my swatches. But I think this one also has good potential, it's not one of the dusty shades and it's probably going to look super pretty as a inner corner highlight or lid shade. I debated on this palette for almost two months. I had gone into Ulta to look at this palette in person and when I did I was convinced I would not buy it. The soft and dusty formula of the majority of these shadows is usually a deal breaker for me. I have to really love a palette with shadows this messy, to keep it (ala ABH Modern Renaissance). But when I walked away from it that day, I kept thinking about the color scheme and those cooled toned shades that I knew would make for some gorgeous looks. Even with the somewhat problematic formula of the softer shades in this palette, I am in love with it. 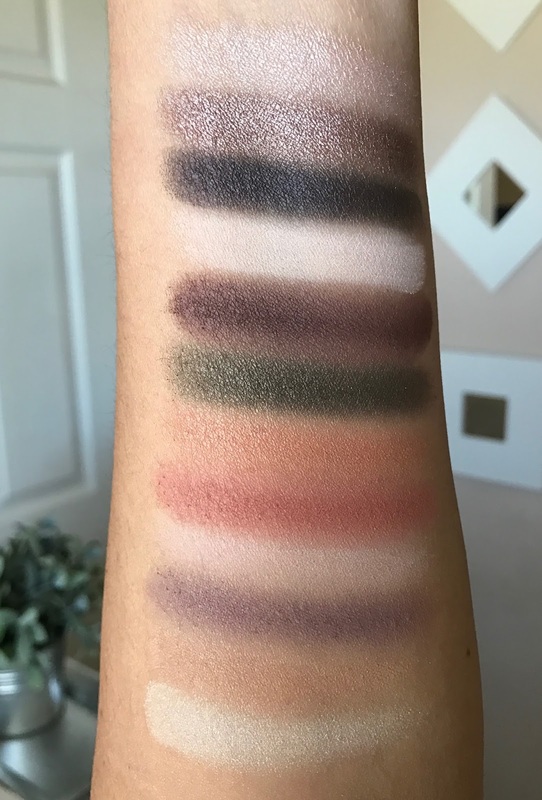 The color scheme is just so me and even though I have to work a little harder when I use this palette, I have loved all the finished looks. And there are so many more looks to come up with, I know that this palette is going to be one I automatically reach for a lot. The LORAC California Dreaming Eyeshadow Palette has so much potential, if you're willing to work with the shadows. I think I said the same thing about the Tarte Tarteist Pro Palette which I reviewed HERE. I took that palette back to Ulta because of the dustiness and fall-out. But that was a more expensive palette and I was not as in love with the shades as I am with this one. I think the LORAC California Dreaming is either going to be one you will love or one that you will hate. I hope my review has helped you decide if you want to pick it up before it inevitably goes away. I am so stoked I got it! Buy the LORAC California Dreaming Eyeshadow Palette at Ulta or HSN. I have been using this brand for a long time. Even after doing my makeup classes for beginners London by Lina Cameron, I am trying out various brands for improving my skill. But this brand is till now my favorite. 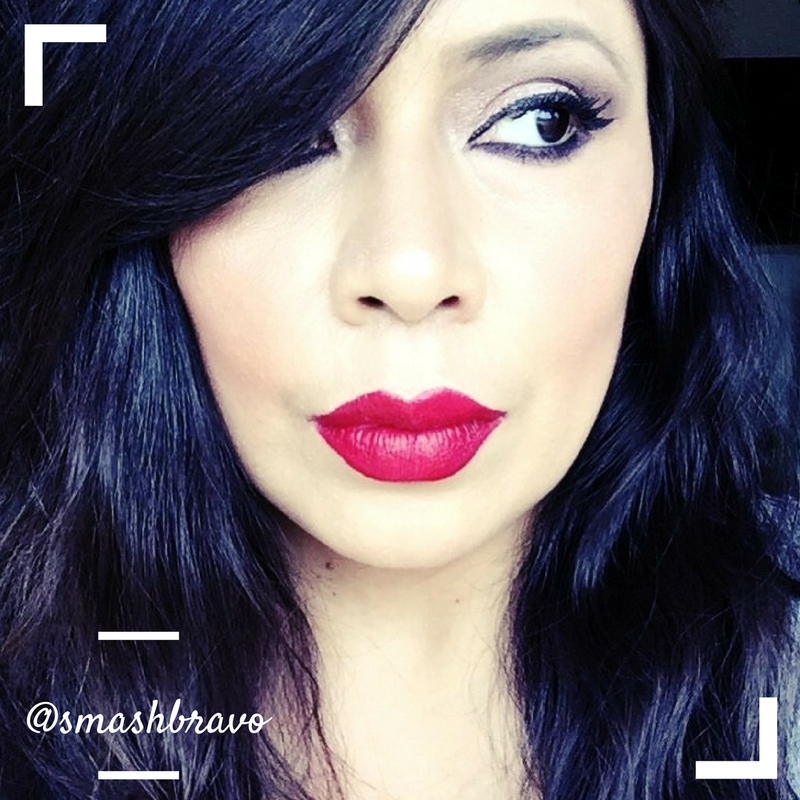 I did my course from Lina, she trains the best makeup lessons in my town and she is really talented and so caring.